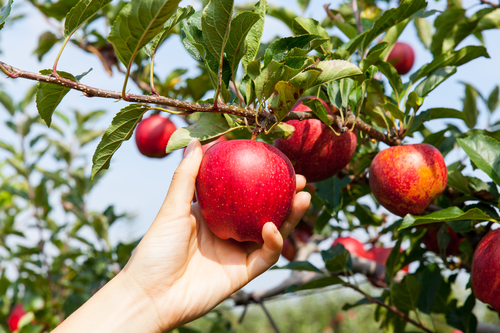 The fall may just be getting started, but apple picking season definitely doesn’t wait until the leaves start falling – actually, now is the best time to get started on your apple picking near Paulus Hook! If you want to hand-pick some apples that you can cook up (or just munch on!) in your Lenox kitchen, then visit these apple orchards for a true taste of early fall. Make sure you stock up – you’ll have a hard time eating grocery store apples after trying these! Alstede Farms, located at 1 Alstede Farms Lane, Chester which is about one hour from your Lenox apartment, offers over 20 apple varieties including Gala, Granny Smith, Honeycrisp and Golden Delicious which are available for picking every day. If you’re interested in a specific variety, make sure you check their website and see when that variety’s ripening date is to plan your visit accordingly. While here, make sure you check out their petting zoo, extensive farm store and on-site Tomasello Winery! Demarest Farms, located at 244 Wierimus Rd, Hillsdale which is about 40 minutes from your Lenox apartment, allows visitors to spend the day enjoying a hayride to the fields for peaches, apples and pumpkin picking. Make sure that you stay here for lunch – feel free to bring your own picnic lunch to enjoy on their scenic grounds or enjoy their delicious assortment of fresh-made food as well from their enormous salad bar, deli and bakery. This farm has it all!